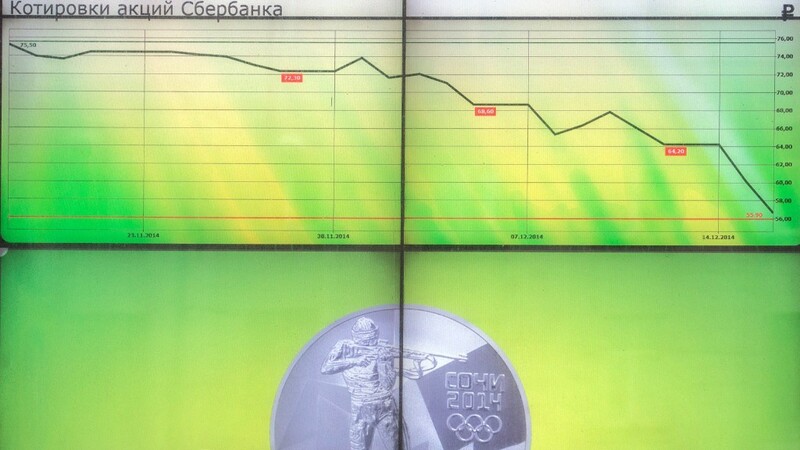 Russia is gripped by its worst financial crisis since 1998 but should have enough money to prevent a total meltdown ... for now. Its currency has plunged by 50% this year, economic growth is falling off a cliff, and oil revenues are shrinking. Capital is fleeing the country and its banks and businesses have been shut out of Western financial markets. This perfect storm has raised fears that Russia could be heading for a repeat of its 1998 default, which led to an economic collapse. But unlike Greece, Cyprus and Ukraine -- recently overwhelmed by unmanageable debts -- Russia is not yet at risk of missing repayments to lenders. "Russia has one of the strongest sovereign debt profiles of any country globally," said Alexander Moseley, a senior portfolio manager and specialist in emerging market debt at Schroders. The Russian government, its banks and companies have about $678 billion in foreign currency debts. Of that, about $130 billion will have to be repaid this year and next, according to data from Nomura and BNP Paribas. Russia has official currency reserves of about $416 billion, more than enough to cover all the debt coming due in the next year. In addition, experts estimate the financial sector in Russia has over $250 billion in foreign exchange reserves that can be used to cover its debt. Other companies also have substantial foreign assets. 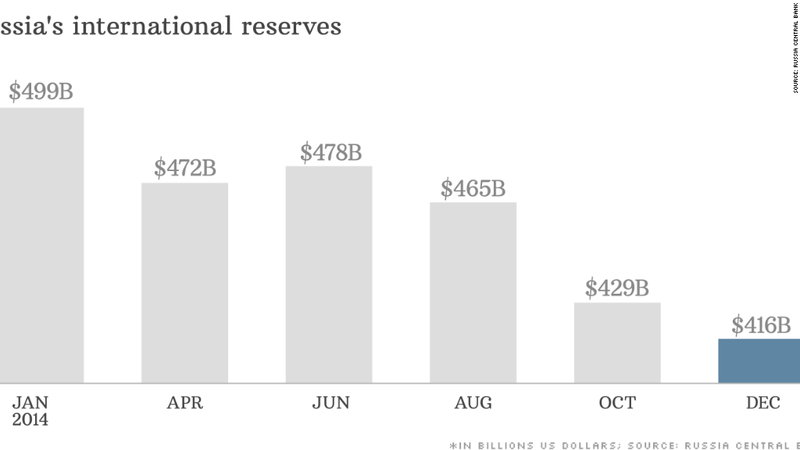 But the reserves may not be as healthy as they seem at first glance. Tatiana Tchembarova, a credit specialist at BNP Paribas, said the Russian government has already committed $143 billion from reserves to support the economy next year. And that figure may rise. 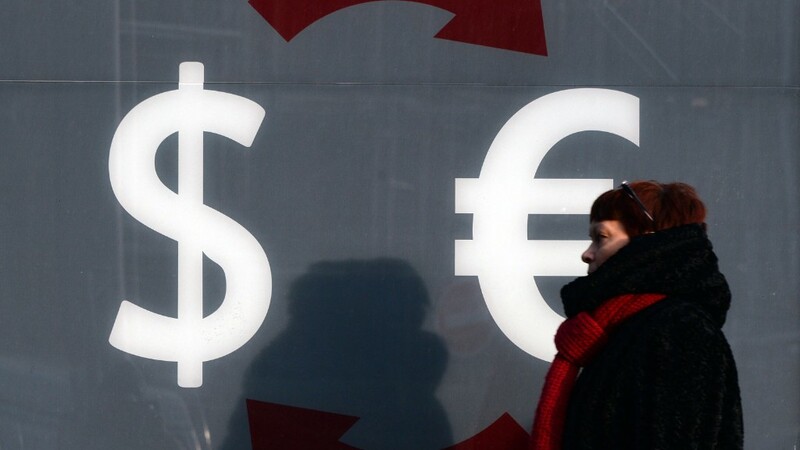 "Risks of renewed capital flight, a sustained decrease in oil prices and closure of international capital markets suggest that Russia will have to increasingly tap into foreign exchange reserves to support its financial markets and economy," said Tchembarova. This could spell more trouble down the road as Russia's banks are likely to become more reliant on the government for funding. Company finances will also suffer from the expected recession. According to BNP Paribas, Russian companies have $76 billion in foreign debt falling due next year, far surpassing the combined total of government and banking debt due in 2015. "We see 2016 as a more challenging year, overshadowed by real risks of corporate defaults, in the event that current market conditions persist," said Tchembarova. Anders Aslund, a senior fellow at the Peterson Institute for International Economics, is more pessimistic. He says the crunch could come in the second half of next year, because of competing demands for the cash.